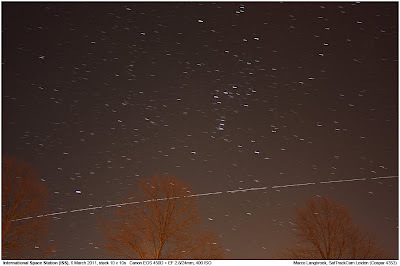 Below are two images showing the International Space Station (ISS) pass over my observatory. 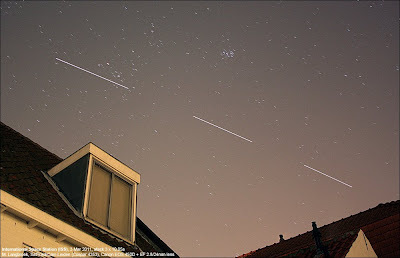 The first was made on the evening of March 3 and shows it passing between the Hyades and Pleiades. It is a stack of 3 images of 10s each. 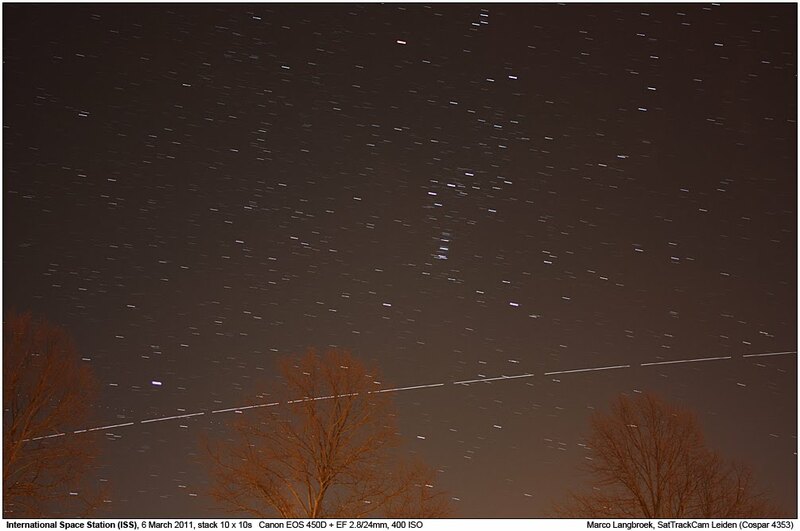 The second was taken this evening (March 6) and is a stack of 10 images of 10s each, showing it pass under Orion and Sirius. 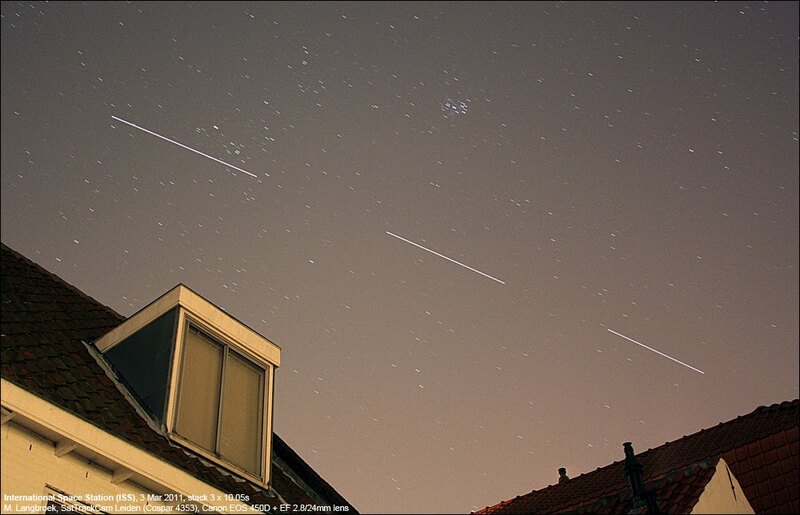 Lens used in both cases was an EF 2.8/24mm. The March 19, 2011, "Super Full Moon"